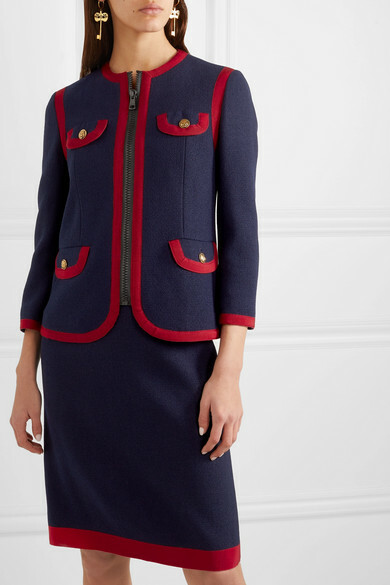 Gucci's jacket is reminiscent to military uniforms from the 18th century - Alessandro Michele has a real knack for giving heritage styles a fresh update. 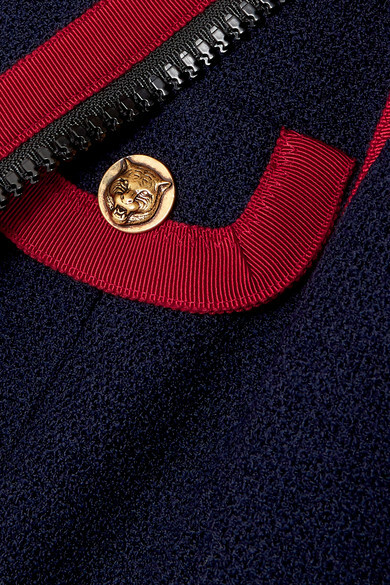 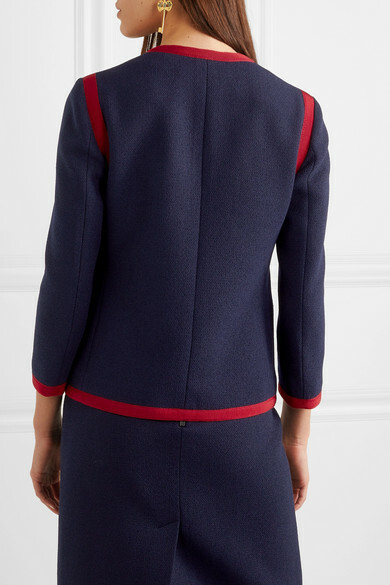 Woven in Italy from a navy wool-blend, this collarless piece is trimmed with red grosgrain and punctuated with the Creative Director's beloved feline buttons. 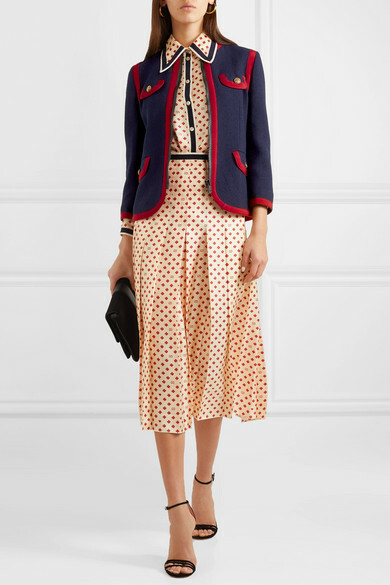 Wear yours with the matching dress or one of the brand's skirts. 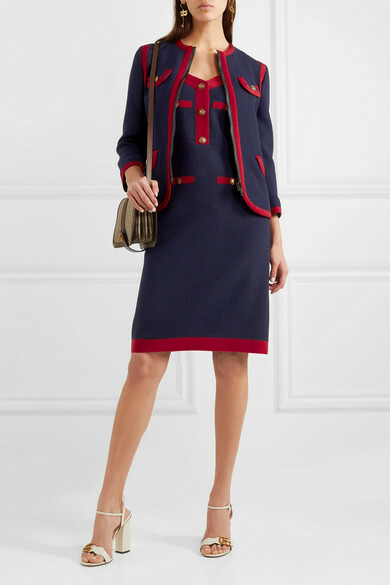 Shown here with: Gucci Shoulder bag, Gucci Sandals.